Dawn Cherie Walker (1964- ) was born in Massachusetts. As a small child, she spent many days on her Nana's 'farm' in Ashfield, MA. Her nana raised show dogs, the wire haired terrier. Dawn's first pet was Scamp, a little scamp of a terrier. There were barn cats and one of Dawn's favorites was DC Kitty. There was momma cat and hoards of baby cats. 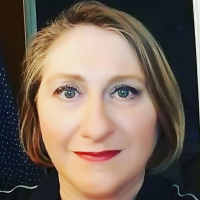 As the show dogs littered, her nana would set up a for sale sign by the mailbox and little two year old Dawn Cherie could be seen "selling" puppies, even trying to convince those that had two children that they really needed to buy two dogs so that the one wouldn't be lonely. Years went by, life changes us all. She woke up one morning and the story of Kit Kat was just there in her head. At work it took her four hours to type it out on the computer screen; we didn't have thumb drives or computers at home to email the digital copy, so she held on tightly to the only printed copy she had. Eventually, she retyped it and saved it to her thumb drive. 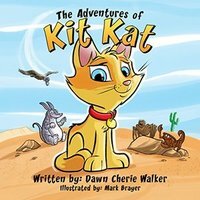 In 2016, she found a local publisher and they set to work and soon there after Dawn Cherie had her first printed and published book, The Adventures of Kit Kat. Though it took only 21 years for her to finally get published, she has also suffered from prolonged writers block. She is taking notes and arranging a new children's adventure with Kit Kat and should have it completed sometime in 2017. So, stay tuned for future developments!